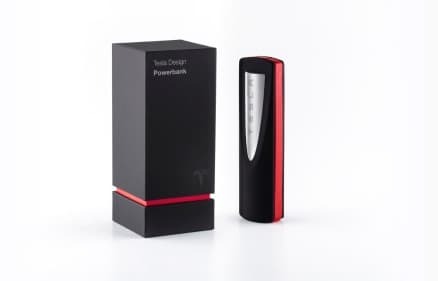 Tesla Powerbank India - Price & availability? I came to know about Tesla Powerbank and tried searching Amazon and Flipkart. It looks like the powerbank has yet to be made available in India. The official website mentions that the powerbank can charge Android or iPhones on the go. The powerbank itself is a tiny package with 18650 cell 3350 mAh battery with 5V/1.5A max output. I, however doubt it's going to be a better buy than the existing powerbanks available in the market for much cheaper. Would you be willing to spend ~Rs. 3000 on Tesla Powerbank? Let me know below through comments. yes sure i have odered this power bank through amazon.it is high capacity power bank and i read positive feedback and reviews in amazon. @Kaustubh Katdare Sir - The answer to your question will be no different than the answer to the question - Why people buy iphones in India? I guess there is a very poor co-ordination between the assigned price and the technology which is being offered. Buyers mostly care about the brand and the social value that the product brings with it. @Kaustubh Katdare Sir - It is hard to digest that the Tesla's power bank batteries will reflect the same behavior as that of the one used in their automobile vehicle's batteries. The video talks about the charging and discharging of the lithium-ion batteries and its degradation if not used on a yearly basis. I don't think the behavior stays linear at all. Even with the most efficient batteries we have, I have never seen a linear rate of charging and degradation.